One of The Wave Project’s longest-serving surf club members has won silver at the World Adaptive Championships in California at the weekend. Charlotte Banfield, aged 19, overcame a seizure to win her first heat and eventually progress to the final. The Exeter University student Charlotte joined The Wave Project as a 12-year old at a time when she was struggling. “I was quite fragile, quite scared when I first joined, but as soon as I set foot in the water I felt positive and could be myself,” said Charlotte. 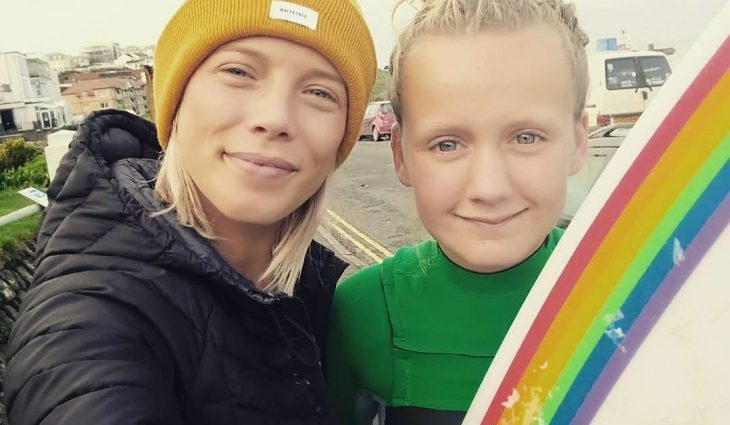 Charlotte, who is studying Marine Biology in Falmouth, entered the national adaptive championship at Watergate Bay “just for a surf” and won the ladies’ competition in September. From there she was invited to take part in the world event in California and she won through two heats before claiming silver ahead of a Hawaiian in third and a Brazilian in fourth. 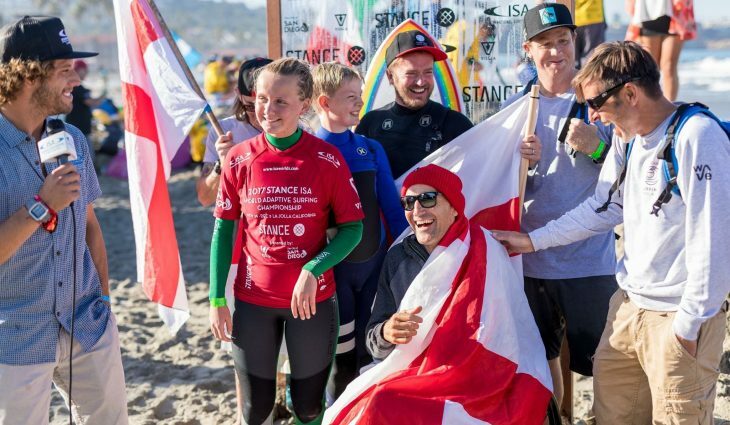 Nick Rees, operations manager for Surfing England, said: “It is very rare that an English surfer reaches a final of a World Championship event, so her accomplishment was one for the history books, but to then go and secure a second place and a silver medal was very special indeed. In 2011, at the age of 12, Charlotte was referred to The Wave Project. She completed our six week surfing course and went on to join our surf club. Making new friends and building confidence through surfing was key to Charlotte’s recovery. Although she continued to have health set backs, including long stints in hospital, she continued with her surfing. 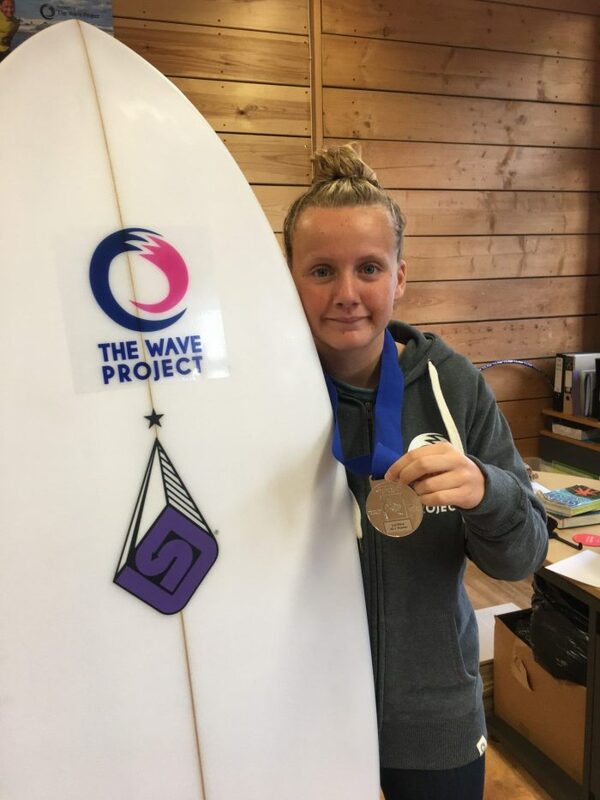 In 2013, she won The Wave Project Courage Award at our annual awards ceremony, where she met pro surfers like Ben Skinner and Russell Winter. This inspired Charlotte to be even more determined. 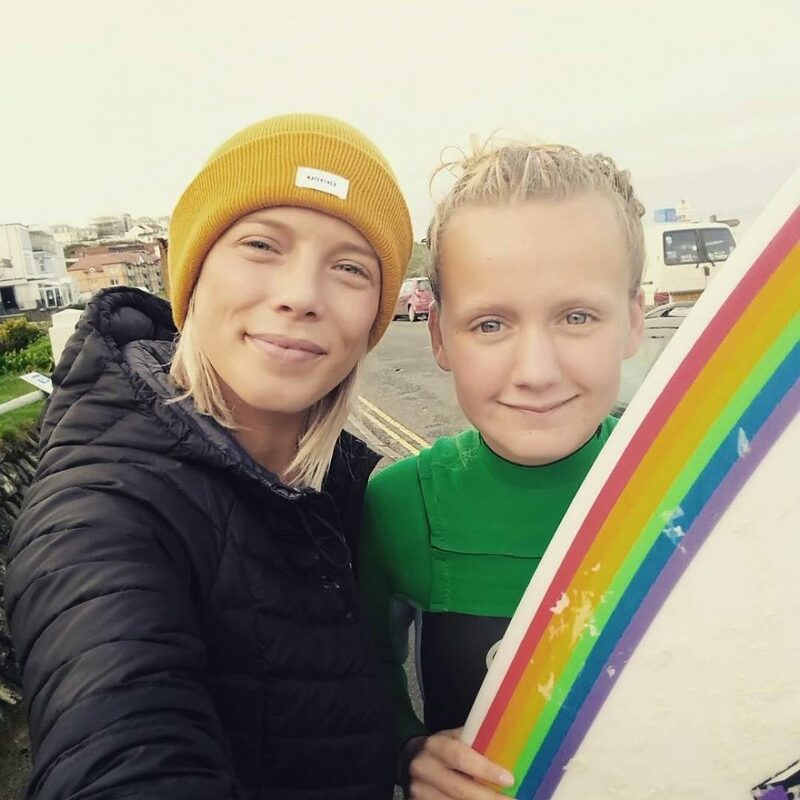 She became a surf mentor and started volunteering to help other young people. In 2016, she went on a Wave Project surf exchange to Ireland – the first time she had been abroad by herself. 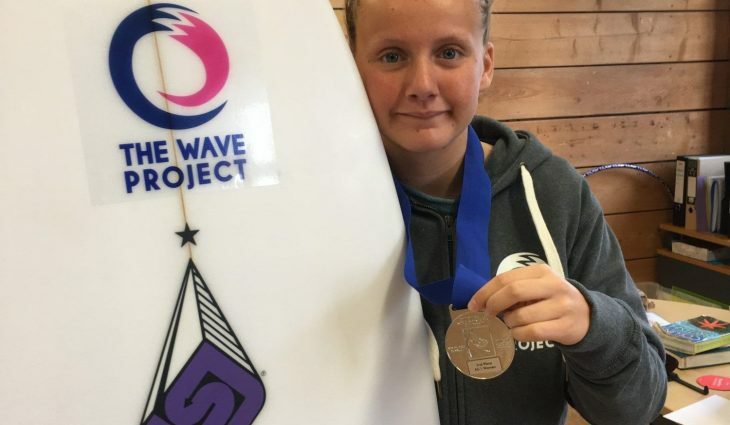 This further increased her confidence, and this year we put her forward for the Surfing England Team Adaptive Qualifiers in Watergate Bay Cornwall. Charlotte came fourth overall at the event and was picked for the team. 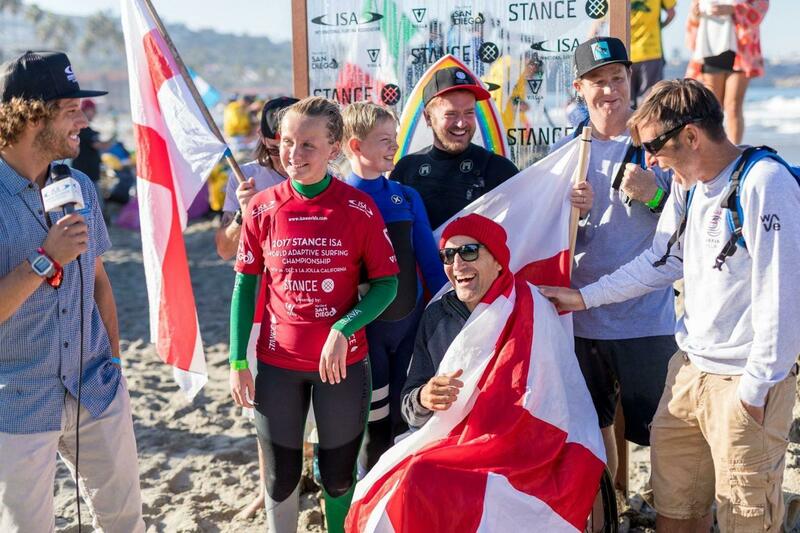 She was then chosen to represent England at the ISA Adaptives. We organised for her to have extra 1:1 surfing lessons with our ambassador, former pro surfer and English National champion Hannah Harding.